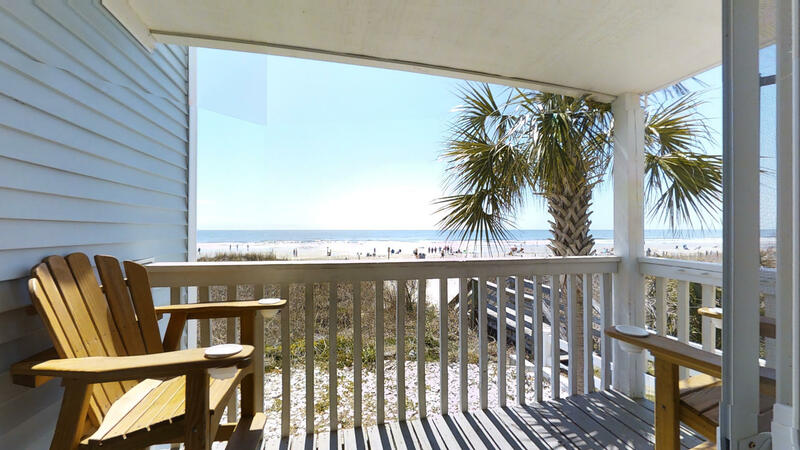 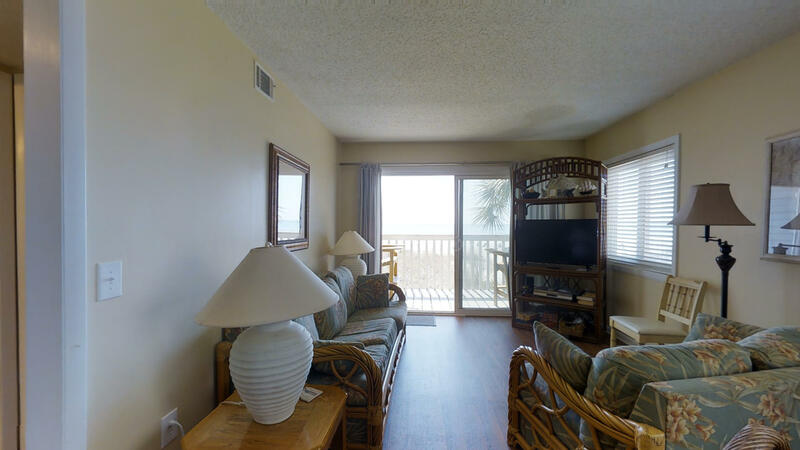 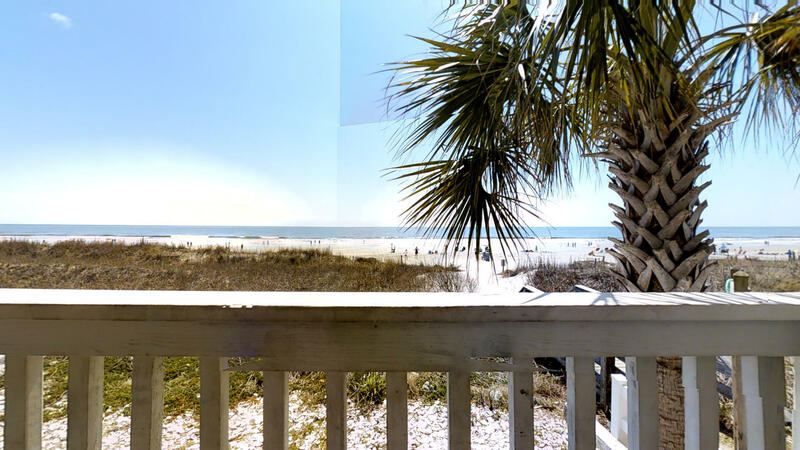 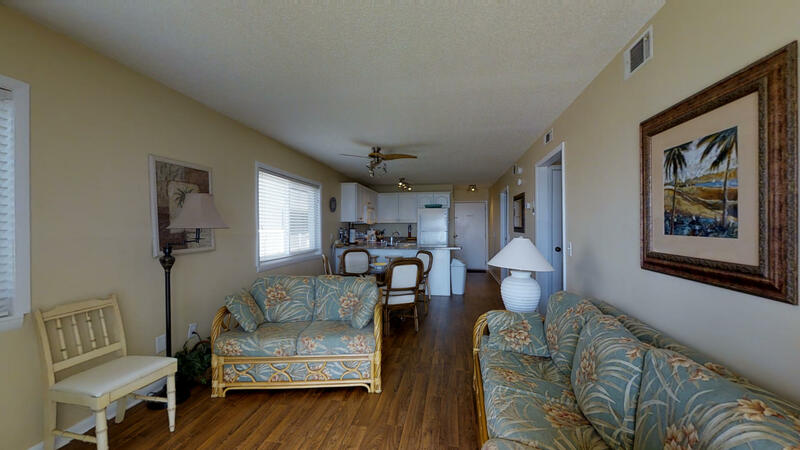 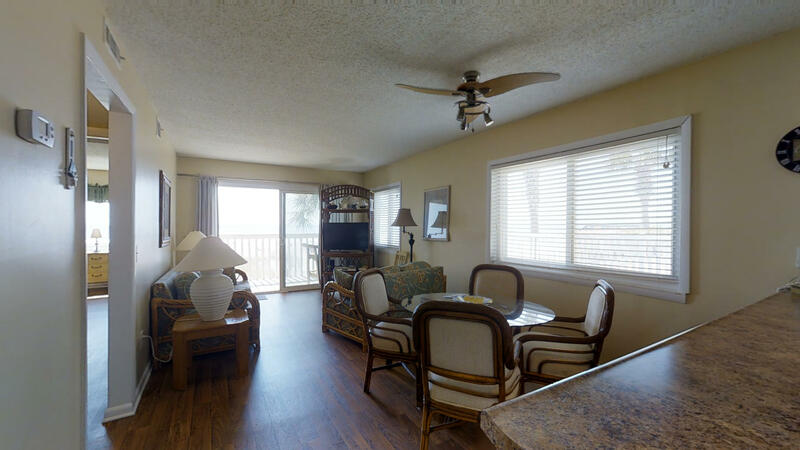 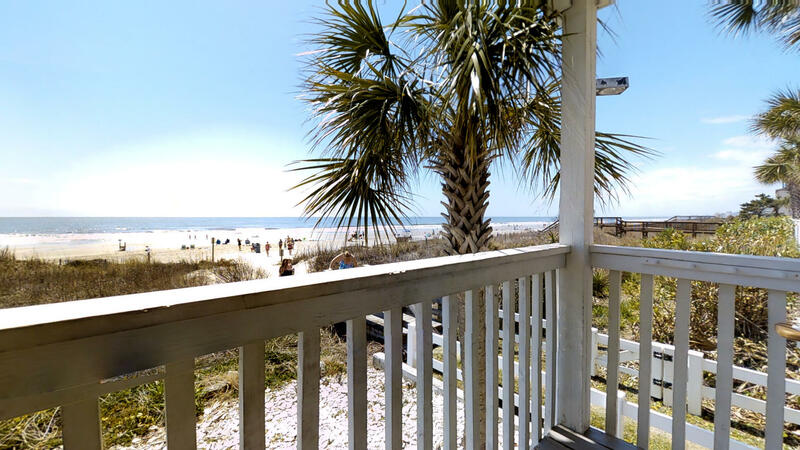 An oceanfront condominium in North Myrtle Beach, this vacation property is in an ideal location. 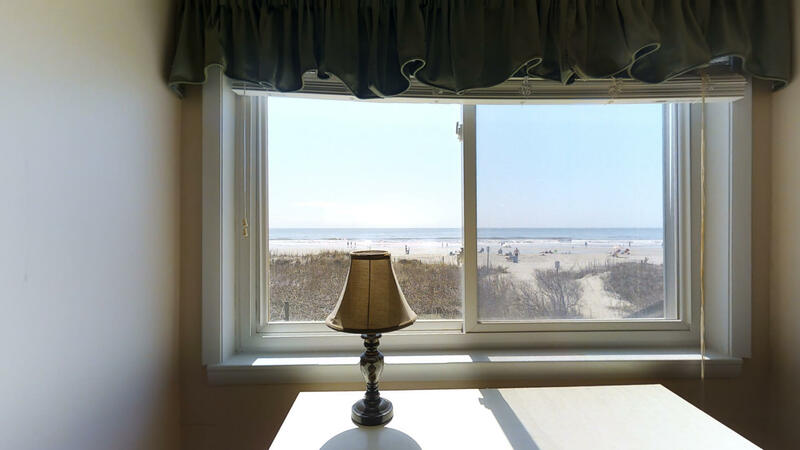 Just steps from Crescent Beach, you’ll wake up to lots of opportunity for outdoor fun and picturesque views of the Atlantic Ocean. 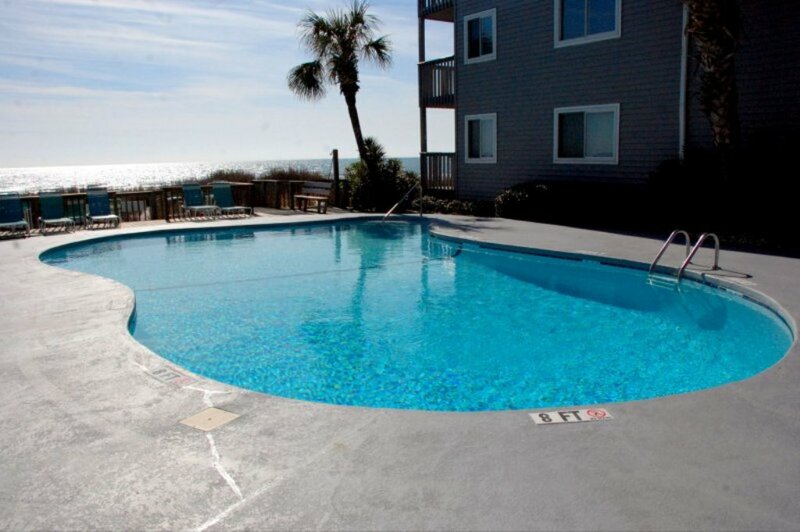 Able to sleep six, it is the perfect vacation property for families with younger children. 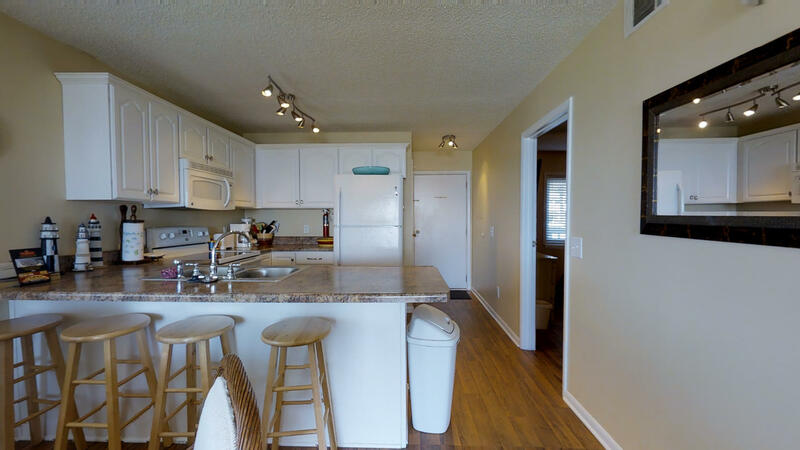 Located on the 1st floor, it has 2 bedrooms and 2 baths. 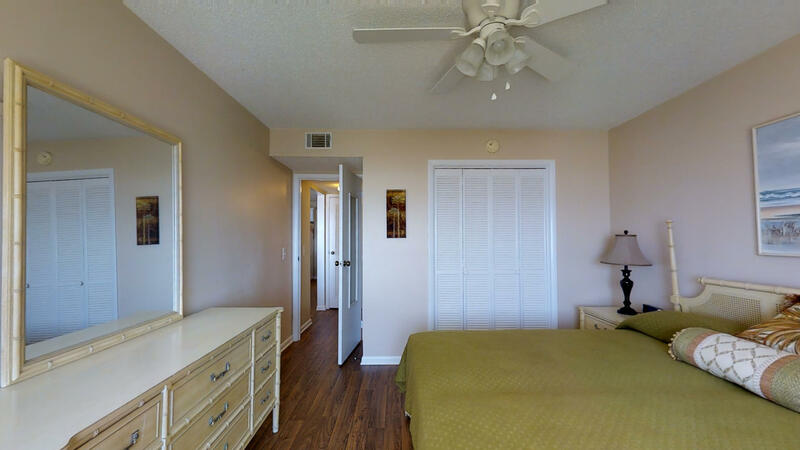 Its master suite has a king size bed and its second bedroom holds two single beds for children. 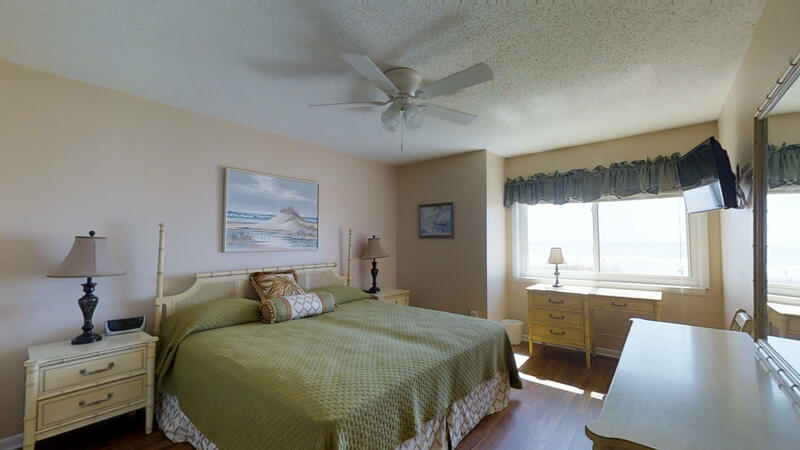 Each bedroom is tastefully decorated with antique white bedroom furniture and the beds dressed in soft linens. 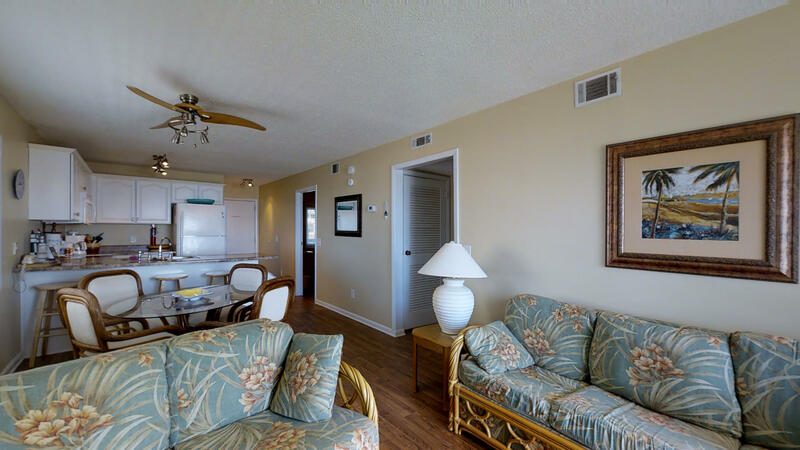 To accommodate larger families or groups, extra sleeping space is also available on the living room’s queen size sofa bed. 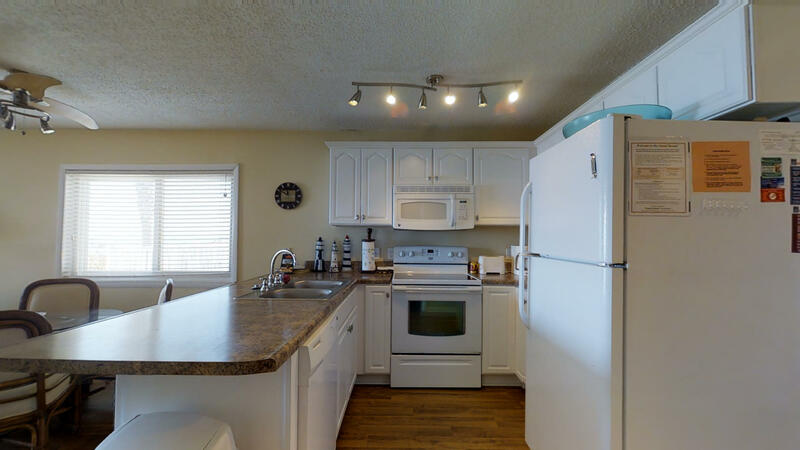 A spacious kitchen with full size appliances and plenty of cabinet space is available for cooking and storing snacks and drinks for the entire family. 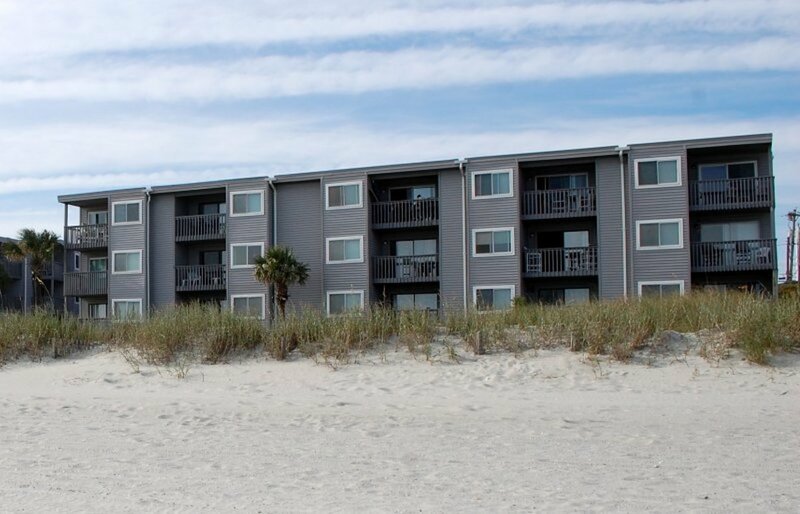 To get to the beach from this unit, there is an open path which provides for easy access. 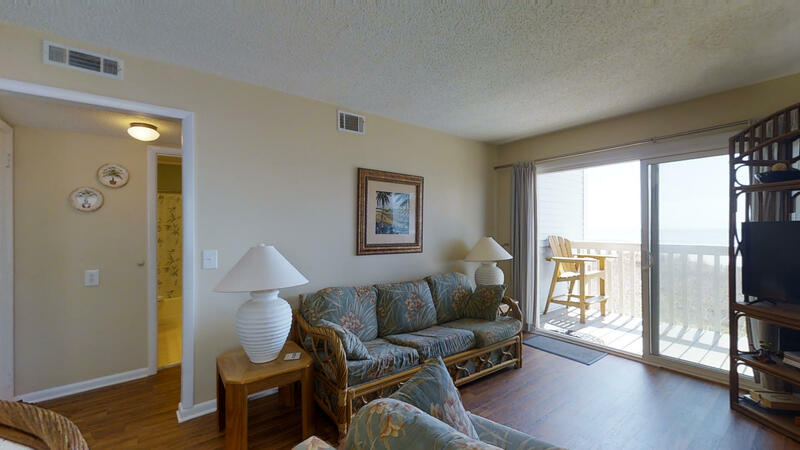 When you want to enjoy the outdoors but don’t feel like going to the beach, simply relax in the pool or take in the views from your private balcony. 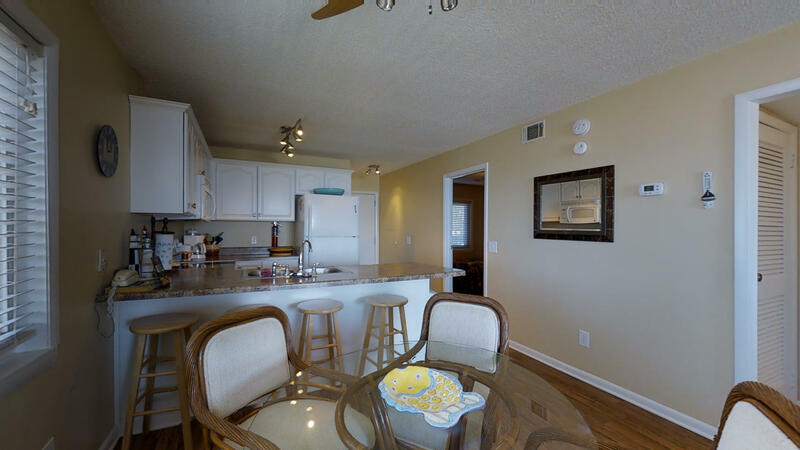 Other amenities offered at this spacious condo include cable television and wifi for posting photos or just communicating with family and friends at home. 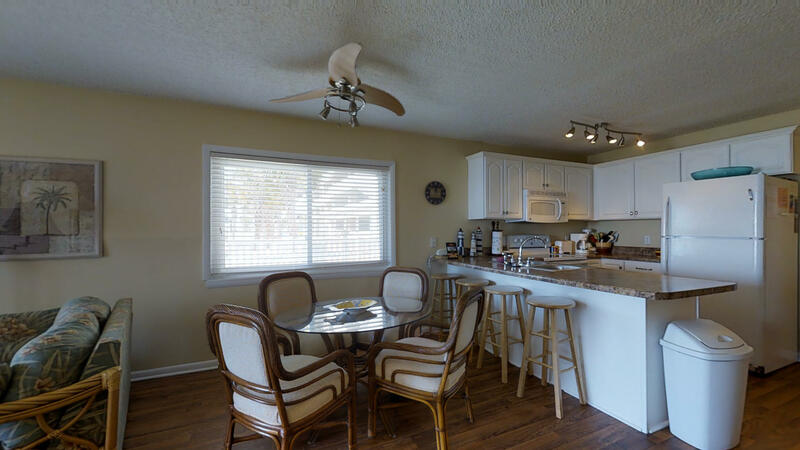 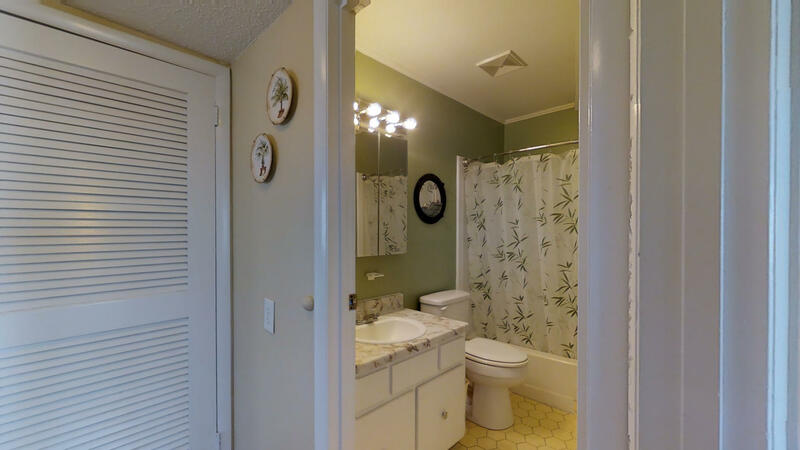 For added comfort, this property has a central heating and air conditioning system along with ceiling fans.